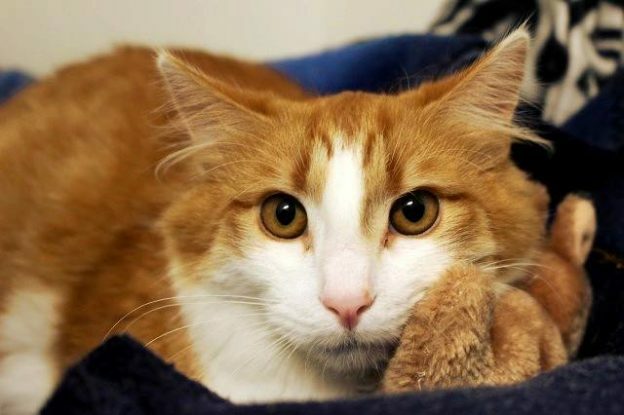 Lucas is about 1 year old and came into CPL care with litter-mates Lazarus, Lucia, Leah ( these three have already adopted) and Lydia (still available) after being left behind when their owner moved. Lucas is very shy but gaining confidence over time. He is friendly and affectionate once he knows you so, while he has clearly missed out on early socialization, he will blossom into a charming companion in a supportive environment. Lucas will suit a quiet adult home and a patient new owner who is happy to continue with his socialisation. He may enjoy the company of another cat and will need to be kept indoors for an extended period to ensure he settles properly.